Best 12ft Trampoline - Trampoline for Me! Another typical dimension people search for is 12ft in diameter. Maybe it’s a matter of not wanting to give more space to your trampoline, maybe you just want to limit the danger your kids (or you) could possibly experience or maybe it is because of something else I haven’t thought of, but one thing is for certain and that is that you want to buy a 12ft trampoline. And you want the best one! So you tried searching for some reviews and some picks and you stumbled upon this page. Well, you’re at the right place! That is why I narrowed down your choice to the three very best and whatever you choose from this list, you won’t be disappointed! The thing that is general for all of the below is that they all have exactly 72 springs and that they are suggested for outdoor usage. I’ll make sure to present only the ones that are exactly 12ft in diameter here so as to respect your choice. If you want something bigger you can click here, and for smaller ones you can look for in the menu. As always, feel free to drop any comments in the contact me section. 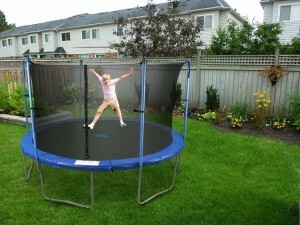 Enjoy my reviews of the best 12ft trampolines and I hope that they are to your liking. So, let’s start with basics: rust resistant frame and rust resistant steel springs along with UV resistant mat, safety enclosure and safety pad make this one qualified for outdoor use for longer periods of time, while at the same time looking and feeling almost as new. As with the last one, this also has a rust-resistant frame and springs along with the UV resistant enclosure, mat and pads, so it’s made for outdoor usage. That doesn’t mean you can’t bring it inside, of course, but that it can last long on the outside. It holds out for years – actually, it is one of the sturdiest trampolines out there. 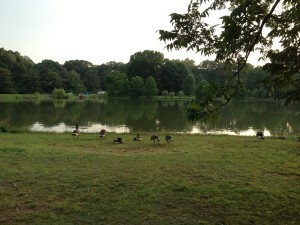 Enclosure is attached on the whole poles, not just on certain points, which make it stronger, safer and better overall. It is of really good quality as you might see. It is connected on the outside of the spring cover, which some say is less safe because there is a possibility of pinching on the springs. Spring cover got it covered though! 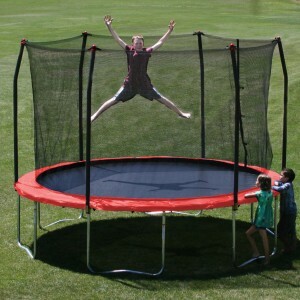 A good jump, sturdy trampoline, great enclosure… So you’ve got fun and safety covered. The price tag is not really big. What else do you need? This one comes in a variety of colors: red, purple, green, black, blue… And price varies from color to color and it is just based on color (nothing extra in red one that the green one doesn’t have)! If you ask me, that’s absurd, I’d just buy the cheapest one. After all, it will be in the backyard, so you don’t need to match it with interior design and stuff.